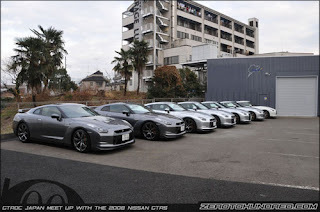 Zero to Hundred.com covered a GTROC meet in Japan. 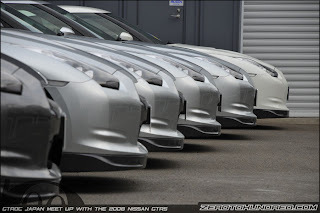 Seven examples of the new R35 GT-R showed up for the meet. The number 33 R35 GTR that ran the 7:38 at Nurburgring was present. Click the link for more pictures.